We had a long day of driving this May but still stopped for a little bit of fun in Spokane, Washington. The first stop in Spokane was a huge Radio Flyer Wagon that had a slide down the handle. Whitman climbed up it and slid down. He actually slid down so fast that he never stopped and flew at least 3 feet after the end of the slide. 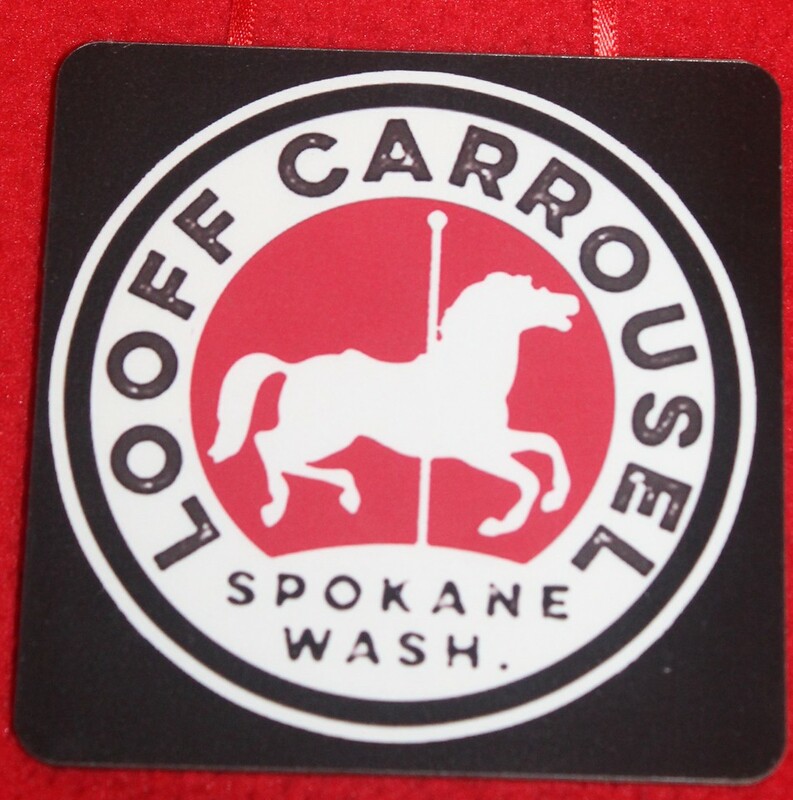 Just a few blocks down the way was the Loof Carousel. It was built in 1909. Even after Robby had told the kids that we weren't going to ride it, he was soon in the line buying them tickets. Who can pass up having a bit of fun on a historic carousel? Here are the pictures and write up from that day.